The Logitech G PRO Headset looked very promising on paper, and for the most part, they delivered on that. The design aesthetic that Logitech has implemented is clean and minimal without being boring. We would have no trouble wearing these for gaming or at the office. The build quality is another strong point, and it is clear that Logitech hasn’t cut back on the quality materials. The levels of comfort on offer are good even if the earcup padding is a little on the thin side. A plus point though is the inclusion of perforated holes on the interior of padding which does help remove some of the unwanted heat build-up during use. It’s the sound performance that slightly puts a dampener on the overall package. We felt that initially, some aspects of the sound weren't quite up to par. The bass was a touch underpowered and the treble was missing some finer detail. That's not to say that the sound out of the box was at all bad, as for some genres they provided an enjoyable experience. However, for the types of titles that the G PRO was designed to be used for, we felt that we needed to tweak the sound profile of the headset in order to get the most from them. This shouldn’t be a deal breaker as it is an easy enough task to carry out, it’s just the sound initially didn’t quite live up to the lofty marketing. The inclusion of Windows Sonic and Dolby Atmos support is a highlight, and we did note that it did improve the sound of movies making them more well rounded and enjoyable. For gaming, it did also help, but we didn’t see as big an improvement as we did when watching movies. We found that the equaliser boost provided more of an enhancement for gaming than either Dolby or Windows Sonic did. The microphone is also something that didn’t quite live up to what was advertised. We felt that it sounded a bit too artificial and slightly over processed. It was still clear, and the detail was still good, but the overall tone was hampered by the noise cancelling. So it may not perfect for streaming, but for voice chat, it's perfectly adequate. As an overall package, Logitech has nailed home a lot of keys features, and if you are willing to put that bit of effort in with the audio profile, then the Logitech G PRO make a solid gaming companion. 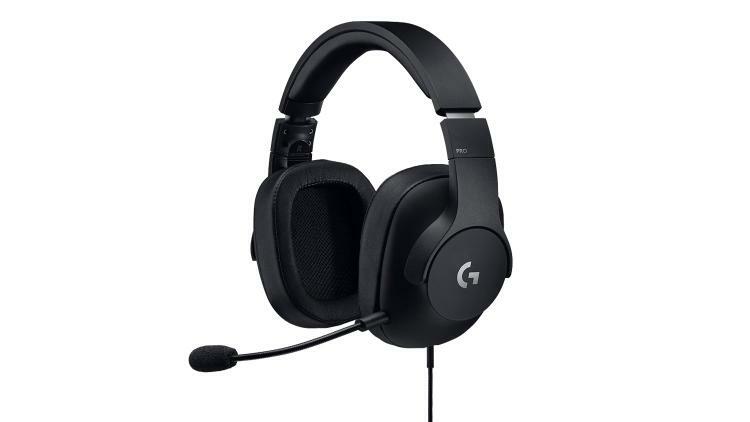 The Logitech G PRO is an attractive, robustly made headset that requires some fine tuning to bring the most out of them.